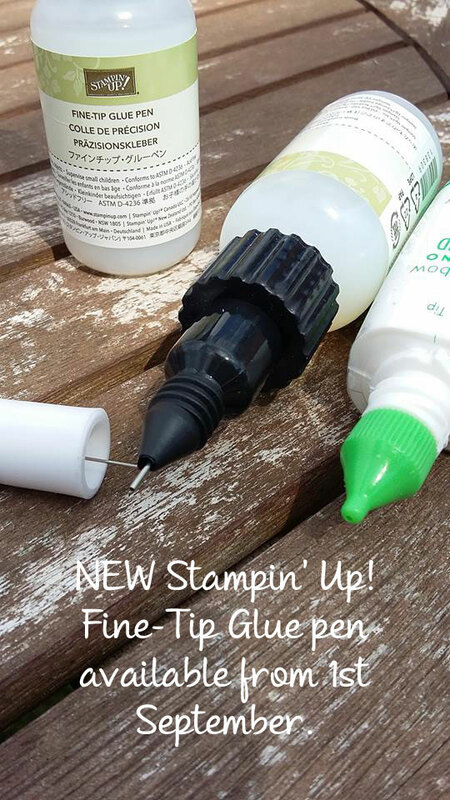 You probably could not have failed to see that our latest Stampin' Up! Seasonal Catalogue launched this week. 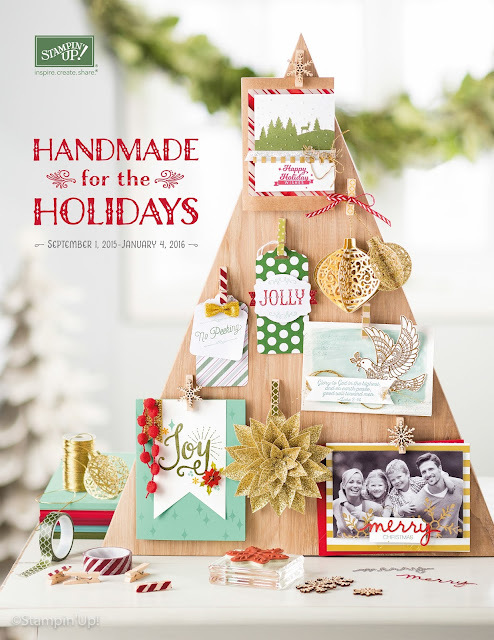 It has an amazing selection of stamps, kits and accessories to help you create a handmade project this Season. It runs alongside our Annual Catalogue, so you can order from either/both of these. Click on the photo above to download your own copy NOW. I will be featuring some of my favourite projects over the next few weeks. watch out for our team Blog Hop on Saturday 5th September where you will see a selection of projects featuring items from the catalogue. Not a project, but one of the items I am loving is our NEW FINE TIP GLUE PEN. 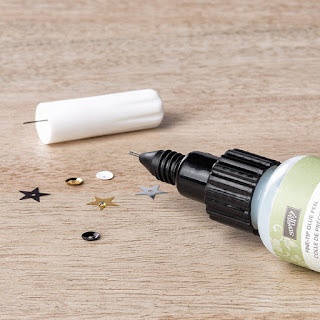 Yes, it's only glue, but it's clear and with a precision tip and a metal pin to prevent clogging, you can use it to add the tiniest of embellishments.